Happy national lobster day! No deals for you at The Original Soup Man this year 😦 but I still went for the $10 lobster roll anyway, to celebrate of course! 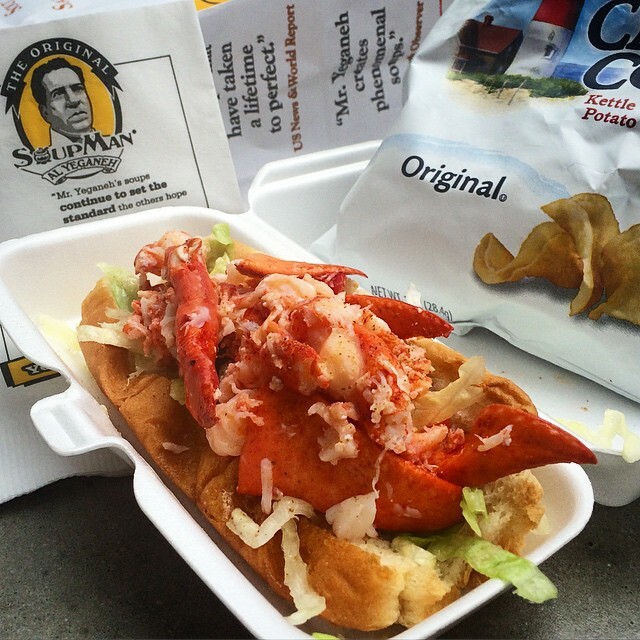 You can’t really beat a lobster roll for $10 with tax included any day, def not in Midtown NYC at least! And it is tasty fo sho. ← Homechef – Thai pork lettuce wraps with water chestnuts, ginger and sesame dipping sauce.